Why am I always tired? Have you asked yourself this question yet today? Yeah, us too, along with millions of other Americans. In fact, a survey found a whopping 76% of workers feel tired most days of the week, and another 15% even fall asleep at least once a week during the day—no wonder swapping a night out for nesting at home is the latest wellness trend. So how do you fight the fatigue without reaching for another cup of coffee or sugar-infused snack? (We all know how a saccharine treat isn't all that sweet for our health.) To find out, we tapped Stephanie Middleberg, MS, RD, CDN, founder of Middleberg Nutrition and author of The Big Book of Organic Baby Food, to discover the foods that give you energy, the coffee alternatives that boost our vitality naturally (without the adrenal crash), and the bad habits we need to give up. It's time to wake up and smell the caffeine substitutes. Seeing as 60% of the adult human body is water, it's important we replenish it—constantly. Middleberg says water is also essential for keeping our energy levels up. "Most of us tend to reach for that cup of coffee as an upper when we should really be reaching for a glass of water and food that can actually provide true energy," she said. "Generally, we should be consuming half of our body weight in ounces of water a day." Cheers to that. 1. "Have a breakfast rich in what I call the two P's— protein and produce—in the morning. This is when our blood sugar is the lowest, and if you break your fast with sugar, it can increase your hunger hormone ghrelin. This leads to increased hunger and blood sugar issues during the day. Protein will keep your appetite and energy consistent throughout the day. Examples include eggs, full-fat plain yogurt, nut butter, and smoked salmon." 2. "Have a protein and a fat with every meal, including your afternoon snack. Think apple and almond butter, cheese and crackers, hummus and veggies, avocado and toast, smoothies, etc." 3. "Include full-fat products. Fat fuels metabolism and helps you absorb key fat-soluble nutrients. The more nutrition your body absorbs, the better your energy will be." 4. "Weed out processed foods and artificial sweeteners. Party season means a lot of convenience foods, so watch out for junk filled with sodium and processed ingredients that make you feel bloated and fatigued. Artificial sweeteners also wreak havoc on your body leading to digestive issues, skin issues, headaches, and a sluggish metabolism." Maintaining our health during busy periods can be challenging; no matter how much we try to make it work, sometimes the clock works against us. But Middleberg urges us all to resist the temptation and instead reach for nutrient-dense foods. To make sure your health stays on track, she suggests taking three key supplements. Probiotics: "We need good bacteria for a healthy digestive system, which is the key to regulating our immune system, mood, and overall health," she said. "The stomach contains the majority of our serotonin, so it is literally our second brain." Middleberg says you can also reach for foods that naturally contain probiotics such as fermented veggies, miso, kombucha, kefir, and yogurt. Vitamin D: With shorter days and less time outside, many people (especially those in the northeast) tend to be low in vitamin D. If you feel there could be a deficiency, then Middleberg says to talk to your MD and have your levels tested. Vitamin B12: This is an essential energy vitamin. "It helps to produce serotonin and promote positive moods and energy," said Middleberg. "Best sources are through seafood, meat, and eggs. If you are low in this vitamin, consider supplementing." While supplements are a great (and sometimes vital) addition to our diet, they should only ever complement the foods we eat. While a healthy, balanced diet is the best remedy overall, Middleberg outlined a few key ingredients and handy snack alternatives that will deliver an energy boost in times of fatigue. Kiwi: "This is a great source of vitamin C, fiber, and minerals potassium and magnesium. Kiwis provide quick energy through their natural sugars and their high fiber concentration, which helps to prevent dips in energy." Brazil nuts: "This magic nut contains selenium, which has been shown to decrease levels of anxiety, depression, and fatigue." Sesame seeds: "Rich in magnesium, calcium, and protein, sesame seeds (or tahini) is an excellent food to include in your day. I recommend adding to toast, smoothies, and combining with dates for a rich and satisfying snack. I also love sprinkling sesame seeds on sliced cucumbers with rice wine vinegar, sea salt, and olive oil." Blue potatoes: "Blue potatoes are rich in the powerful antioxidants called anthocyanins, which have been shown to reduce mood killing inflammation. These potatoes skins are also filled with iodine that helps regulate the thyroid, which is key to boosting your energy and mood." Green leafy vegetables: "These greens are rich in folate, which helps aid the production of dopamine (the feel-good brain chemical that helps keep you calm). These veggies are also loaded with phytonutrients, antioxidants, and digestive enzymes that help the body absorb nutrients efficiently." Squeeze a lemon: "Try taste bud satisfiers that won't set you back, such as spices, ginger, and lemon (the three together can make a quick, delicious tea). Lemon is famous for cleaning out the body; some theorize that it creates alkalinity in the body—a holistic way to aid digestion and release toxins." 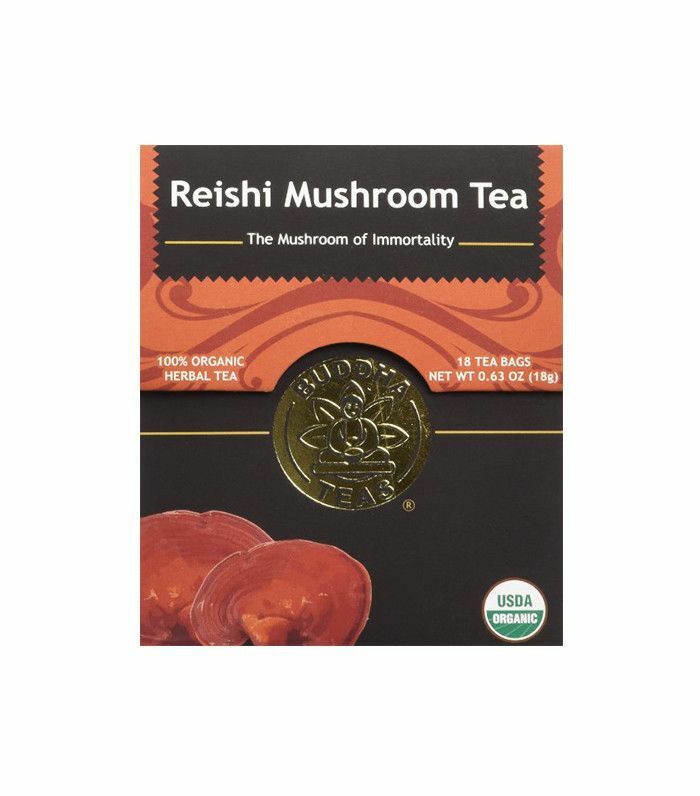 Reishi tea: "Reishi have been used for centuries in Chinese medicine, and more recent science has shown they're good for fighting inflammation, fatigue, anxiety, infections, and a host of other health issues. They're also associated with boosting immunity and hormonal balance." 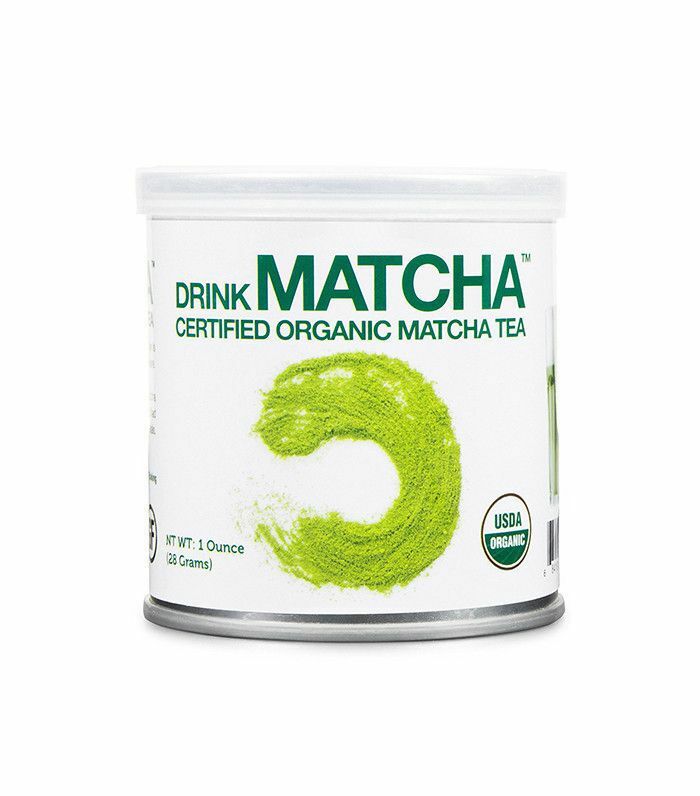 Matcha: "Matcha has even more antioxidants and other nutrients than regular green tea. One particular antioxidant, a polyphenol called epigallocatechin gallate, is a metabolism booster and cancer fighter." Bone broth: Bone broth is filled with nourishing vitamins, minerals, and proteins. Glucosamine in the broth helps reduce inflammation while the amino acid glycine help to calm the body and mind." If you don't have many opportunities throughout the day to eat, Middleberg suggests slow-release foods that may not give immediate energy but maintain our levels over time. 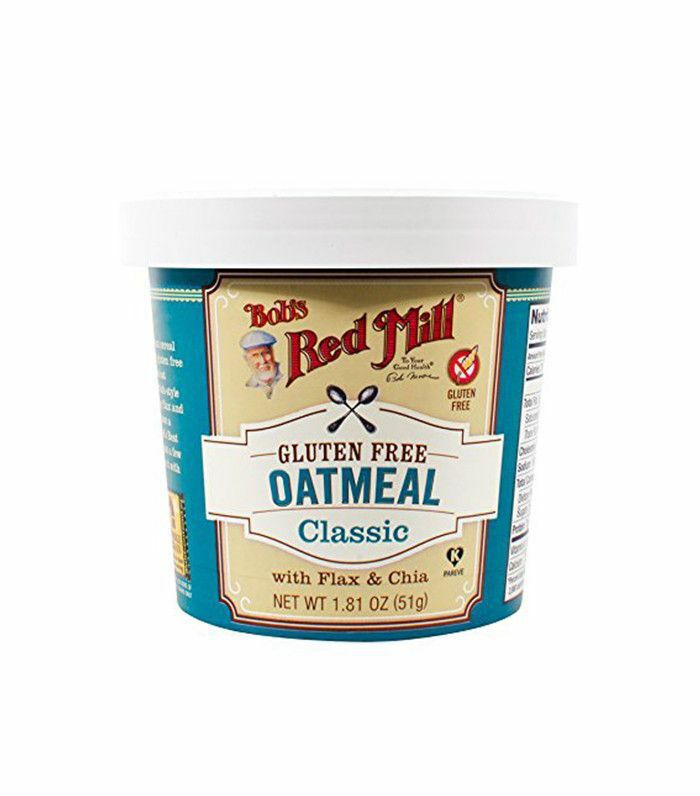 Oatmeal: "As a soluble fiber, oatmeal protects against blood sugar spikes and crashes later in the day." Pasture-raised eggs: "Rich in omega-3 fatty acids, zinc, B vitamins, and iodine, eggs are one of my favorite proteins to keep you feeling full and satisfied longer." Avocado: "A rich source of healthy fat, fiber, B vitamins, and potassium. Healthy fats like avocado help slow the release of carbohydrates keeping you fuller longer. Always include a fat with every meal." Changing up your diet can be hard, especially when you're busy and stressed. But rather than a complete overhaul, Middleberg suggests some simple tweaks and swaps to our existing diet to boost energy and mood. She says one of the most important things is to reduce any added sugars throughout the day. Examples of this include adding sugar to your coffee, eating fruit-flavored yogurt, snacking on high-sugar protein bars, drinking late afternoon lattes, and even taking a bite of your kid's graham crackers. "If you can reduce your sugar intake you will significantly reduce your appetite and cravings," she said. Another simple change is to add more protein to your breakfast. "You are literally breaking your fast, so make it count to regulate your energy," she urged. "I also recommend focusing on your portions. Keep complex carbohydrates to a fist (or 1 cup cooked max), then make sure half of your plate is made up of veggies and the other quarter should be protein (or about the size of a smartphone)." After dinner, snacking should be kept to a minimum too. Finish your day with hot water and lemon, magnesium, or ginger tea and close down the kitchen," she adds. "Lastly, up your water intake. Make it your goal to drink a glass of water as soon as you get up and have a glass before every meal." Try making your alkaline water at home. If diet tweaks and supplements aren't enough to change your ways and some of those bad habits are just too hard to kick, turn it into a routine. We all know that morning and evening routines are the secret to increased productivity and success in life and health—these self-care rituals will make you happier too. But thankfully it's easier to pull off than you think. "Water should be the first thing you consume in the morning to rehydrate the body and increase metabolism," said Middleberg. "Adequate water intake can increase metabolism by 30%. If you need a cup of coffee, I suggest ordering a small and drinking it black. You can always spruce it up with a little cinnamon, cacao powder, or a splash of nut or whole milk, but avoid artificial sweeteners, as they are 1000 times sweeter than real sugar and will make you reach for something sweet later in the day." The simple act of adding an additional protein to every meal and incorporating a healthy fat (EVOO, nuts, seeds, avocado) will also aid digestion and keep blood sugar levels even. "Try to avoid night grazing, as it can disrupt sleep, causing fatigue in the morning," she stressed. "If you need a snack, I love a cup of golden milk. It's a cup of heated nut milk with a teaspoon of turmeric and half a teaspoon of ginger. You can also add cinnamon or pepper. Turmeric is a great inflammation fighter and eases digestion. If golden milk is not for you, warm water with lemon or magnesium is a great way to help calm and warm the body." This post was originally published on December 2, 2016, and has since been updated.